Sure, a single wasted second may mean the destruction of Lore, but that doesn’t mean your hobbies need to be put on hold! Maybe you have started ranking these tradeskills or have never heard of them, either way, read on for all the information you need to know to improve your character’s skillset. Want to know all the different Tradeskills? Click here for ACWO's explanation of them!! 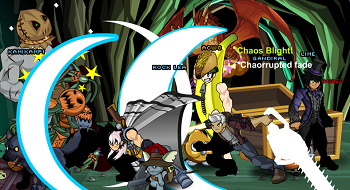 Holidays are big in Artix Entertainment, but few are more hyped than the October spooktacular Mogloween. 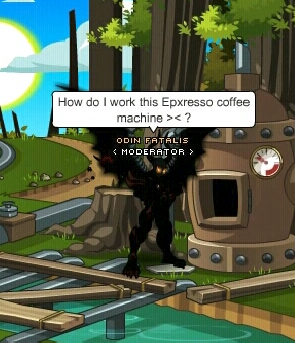 Whether you’ve play each release or are new to the AQW family, check back every Thursday this month for a new nostalgia-filled Mogloween themed Throwback. The more knowledge a hero has, the more they can get out of all the previous Mogloween maps! 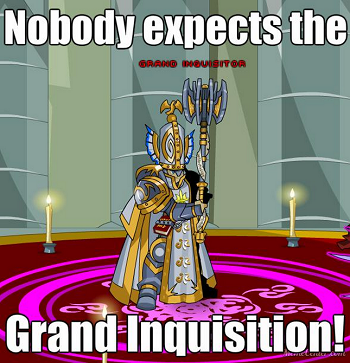 Back in October of 2008, when AQW was barely on the road to the MMO it is today, the bridge between Lore and Mystcroft become clear. In a town where it is always Mogloween, ghouls and bumps in the night are the norm. However a vicious vegetable, The Great Pumpkin King, proved to more trouble than the town’s inhabitants could endure. 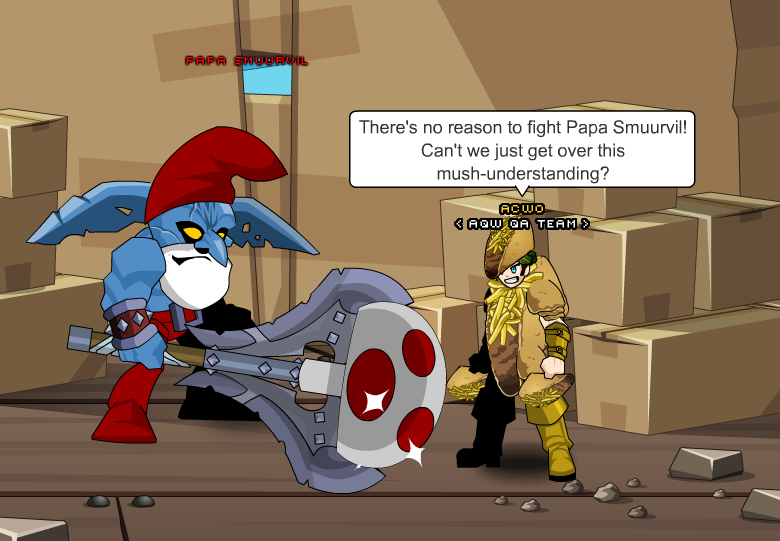 Luckily, Artix didn’t want any Mogloween sweets, he needed a monster to stick his (chainsaw) teeth into. This Pumpkin beast can’t be defeated, only contained after its arrival every Mogloween. Alina: I got a Great Pumpkin Sword! 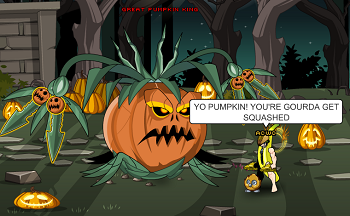 Twilly: I got the Pumpkin Lord Class!!! Artix: I got a Mini-Pumpkin Pet!!!!! 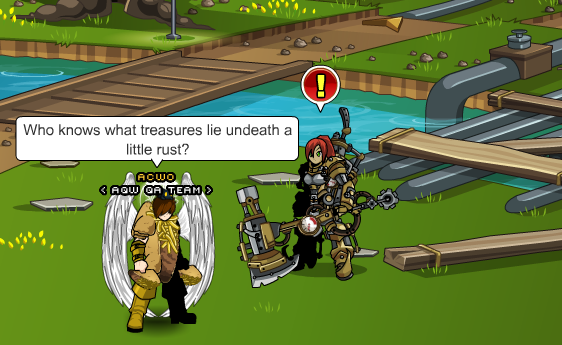 Cysero: I got a rock. 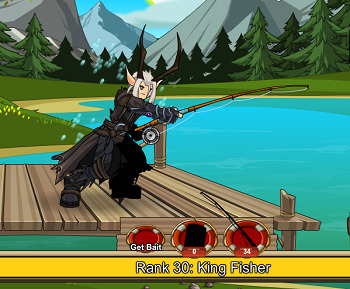 In 2009 AQW players finally learned about something better than beating the King of the pumpkins.What could be possibly be more enjoyable? Why, being a lord of those orange wannabe gourds of course. Be warned, obtaining the coveted Pumpkin Lord class is no easy task. Finding a ripe enough verision to pluck from the dying leaves of the StalkWalker or Great Pumpkin King is quite rare. Expect a successful search 1 out of every 100 times. If one can claim the Pumpkin Lord for their own, be ready to carve through enemies in Mystcroft and beyond! Between the 3 cauldron sisters and a seemingly sympathetic Vampire Queen, Mystcroft has enough quests and items to obtain that a skeleton can be worked to the bone. Before any candy shoppe or corny farm adventures, it’s time to help out Safiria and the sisters Bubble, Toil, and Trouble in Mystcroft's resident haunted mansion. If a true hero can help all the residents out in a pinch, Safiria may have some thrilling Vampire Queen requests in store. Before offering assistance know that these sisters are all candy, all the time. With their talking candy cauldron Myx they plan to make enough sweets for everyone. 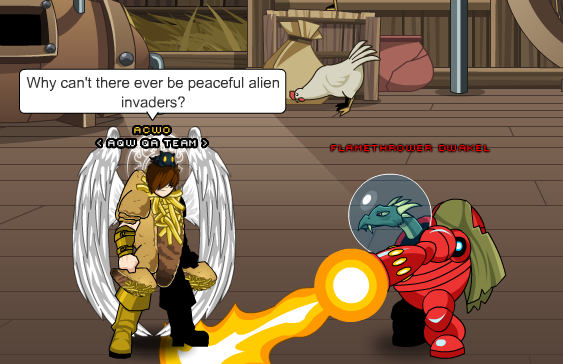 As frequent stars of AQW’s Mogloween adventures, you never know trouble they get themselves into. Whether driving Lore’s Moglins into sugar related insanity or investigating some children’s obsession with corn, they know how to keep October interesting. This is only the first few licks of the lollipop that is Mogloween! The cauldron sisters and all of Mystcroft’s residents have plenty more stories to tell. Log on tomorrow to relive 6 years of amazing releases! Between Anniversaries, Upholder opportunities and Mogloween, October is shaping up to be a busy month. No tricks here, be sure to check the DNs often to not miss any info or Mogloween Throwbacks! Please tweet me @ACWO or comment on the forms with any suggestions for Mogloween NCPs or releases you’d like me to showcase next. Hey look Throwback DNs are back! 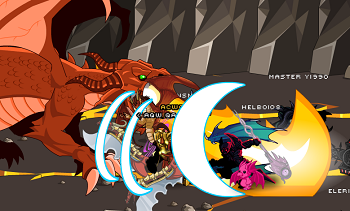 With the chaos of Drakath now behind us and before we start the next saga (have you SEEN that thing above Mount DoomSkull???) it's time to bring back ACW0's write ups on past areas. Enjoy! 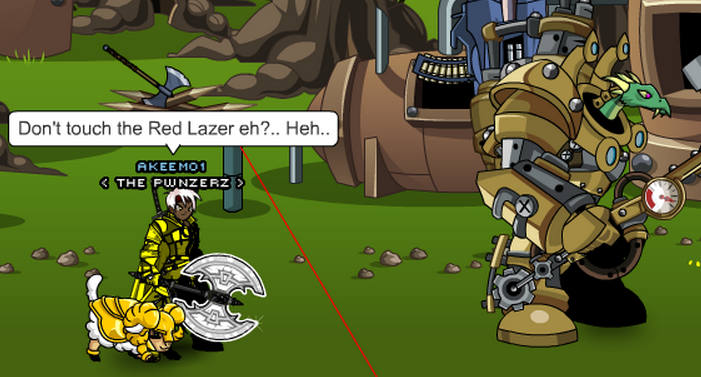 /Join Lair may be one of AQW’s oldest maps, but that doesn’t mean it hasn’t evolved over the years. 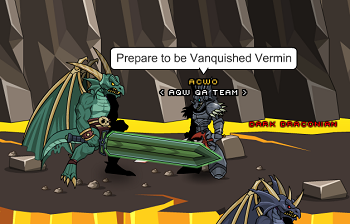 From Cysero’s mid-week lair mini release to Galanoth losing his arm, Vasalkar Lair is still worth the occasional check up. Be wary, not all in Lair is a piece of cake, this map’s newest additions sure pack a punch. Galanoth is no typical DragonSlayer, his entire life revolves around the act. Whether the dragon is good, bad, or a legendary Time Keeper, if you can call it a dragon, it’s going down. 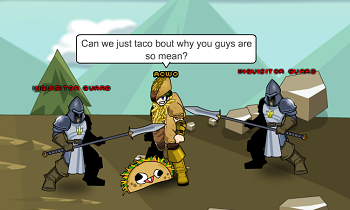 Don’t judge Galanoth though, he has a right to be angry. After losing both his parents to a rogue dragon attack as a mere child, he spent his life avenging his parents. Hopefully with a little help from a hero, he can make the best choices when defending Lore. Only those that prove their mastery of dragon massacring, are worthy of holding the title of DragonSlayer. If you can finish Galanoth’s requests and defeat what lair has to throw at you, then mastering this class will be of little challenge. As a heavy melee class, becoming a DragonSlayer is all about about beating up dragonborn. Equip this class and you will be slicing and dicing the Red Dragon in no time. Is slaying the fabled Red Dragon once and for all truly merited? Lair’s mid-week release update puts your moral compass to the test. After defeating their mother, a nest of dragon eggs has been left unguarded. 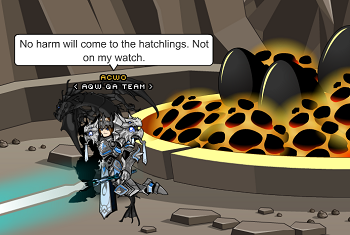 Are you a Dragonhunter like Duncan, and strive to vanquish this bloodline eggshell by eggshell? Or do you see the errors in egg eradication like Ferzana, and save baby dragons for the next generation. Either way, once chosen, your decision and possible quest rewards are final. Can these baby dragons walk the narrow path of good or is it necessary to destroy this evil in the womb? 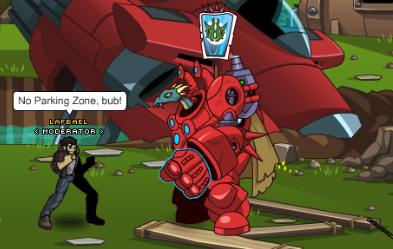 Even when Galanoth is away, Vasalkar Lair needs a protector to keep the dragons at bay. 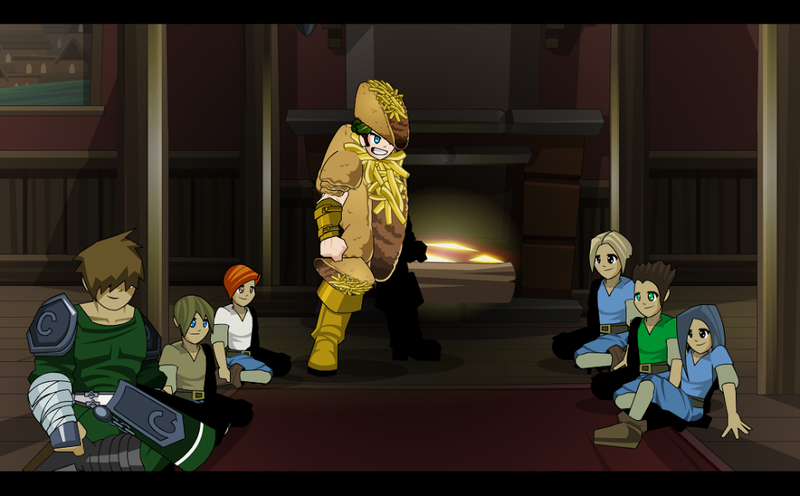 Back during the Golden Onslaught, Galanoth’s mysterious disappearance left the mighty DragonLord Bob defending Lair in his place. While Bob’s true past is unknown, it is believed he was one of the first DragonSlayers in existence. Staying under the radar, Bob rarely helps in the same capacity for long. 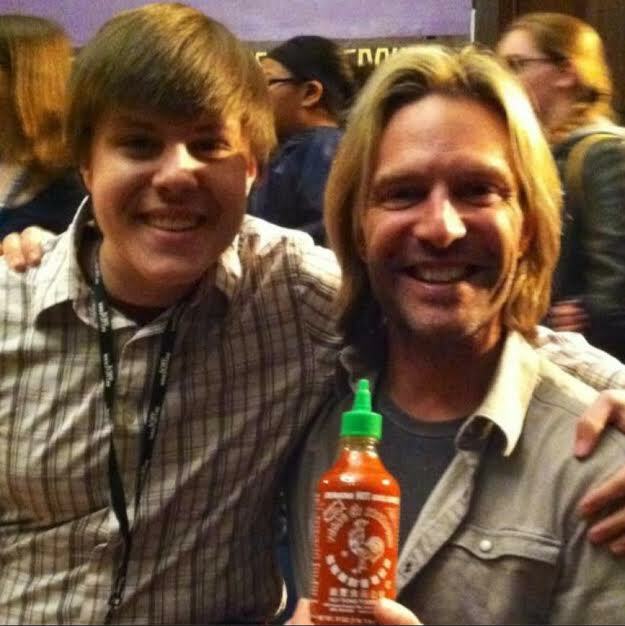 Seemingly never aging, Bob has seen the beginning of Dragon slaying and will most likely live to the end of it. Who is he? Will he ever return? Just how did he get his name? Bob leaves more questions asked than can be answered. 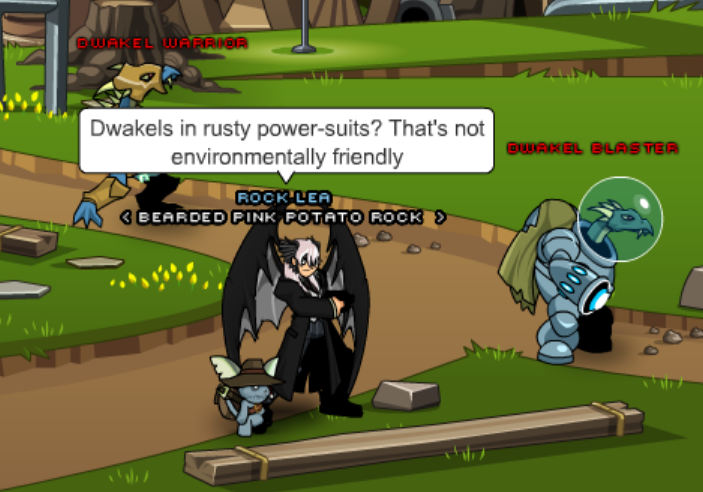 Some heros think they need fancy quests or giant Mana Golems to farm gold, but since AQW’s early days Vasalkar Lair has allowed players of any level to earn a quick buck. 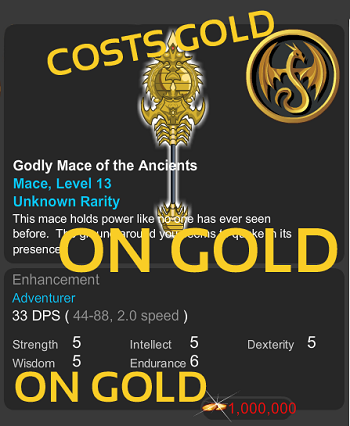 Draconian wings and swords yield a hearty price in markets beyond, and every monster in Lair has some form of loot for you to claim. However, all other prizes fall flat when compared to the Red Dragon’s loot horde. Farming this dragon is worth the perils, as many a ruler or fiend would give an arm and a leg for its gear. Sora here again, fun fact about me, the Dragon Wings dropped by Vasalkar started my wing collecting obsession, I was lucky enough to get them as a drop when I was a free player and I still have them. 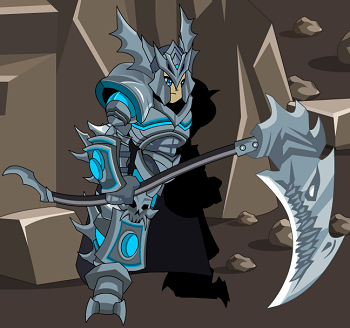 With the final battle against Drakath finally over, there had been little time to look back at the past for throwbacks, especially since all of Lore's future was at stake! The past must be examined, so not to commit the same mistakes. 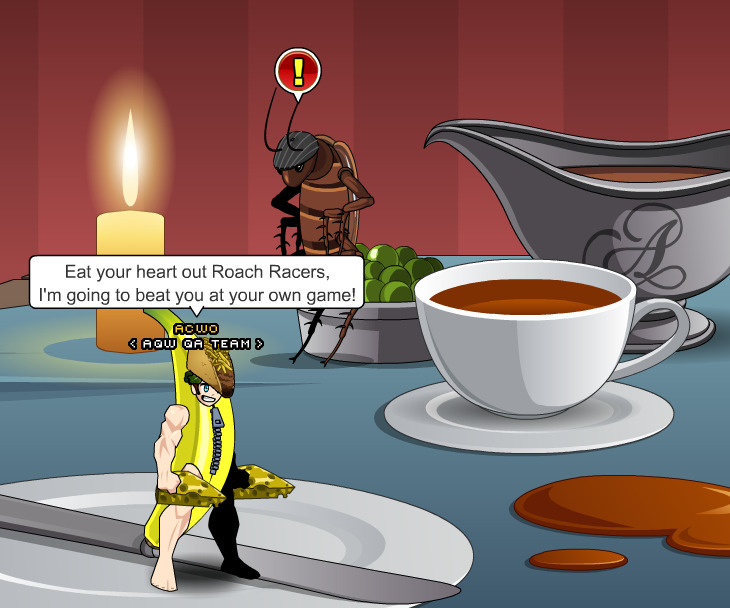 As always, please comment on the forums or tweet me @ACWOAE with any feedback or future throwback suggestions!